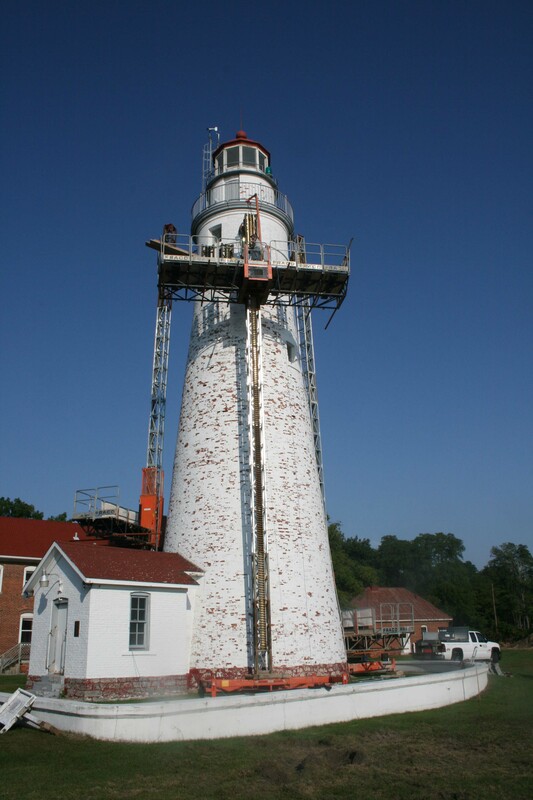 This week the scaffolding went up and bricks were delivered for the masonry work at the Ft. Gratiot Light Tower. This work is being partially funded by a Save America’s Treasures (SAT) grant. 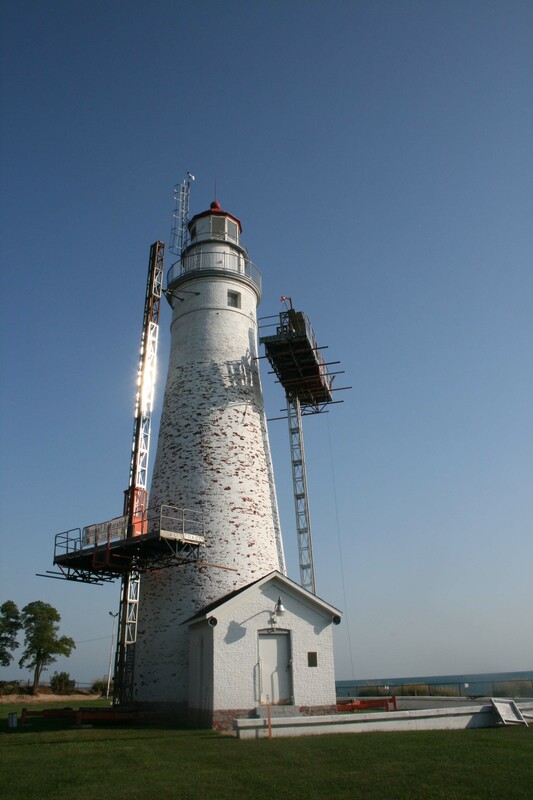 This is critical work that is needed to stabilize and rehabilitate the tower. Photographs were provided by Dennis Delor, St. Clair County.